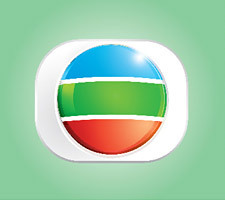 Television Broadcasts Limited (TVB) will launch Digital Terrestrial Television Services (DTT) on 31 December 2007 leading Hong Kong into the High Definition Digital Era. To enable viewers enjoy diverse and brand new audio/visual entertainment in the digital era, TVB will launch Hong Kong's One-and-Only 24-hour High Definition Broadcasting Channel - High Definition Jade (HDJade). HDJade will showcase the best quality that high definition digital terrestrial broadcasting can provide: clearer picture, crisper sound etc. TVB will provide a wide array of programmes, both self-produced and acquired, including native HD dramas, documentaries, live broadcast on events of public interest such as national and international sports events. The 2008 Beijing Olympics coverage available in high-definition format will definitely be another driving force in stimulating DTT adoption. As Jade has always been the most preferred and favourite channel for the public at large, HDJade will no doubt be another hot pick in the digital era. As High Definition Digital Broadcasting is a powerful driver to expedite the DTT adoption in Hong Kong, TVB strongly believes that viewers will switch to digital broadcasting promptly. We are confident that the penetration rate will soon surpass other cities in Asia, thus reinforcing Hong Kong's position as a leading broadcasting hub in Asia. Please click here for further details and contents of the channels. HDJade has already started a promotional broadcast on 10 December 2007 providing highlights of various high definition programmes including self produced HD programmes "The Master of Tai Chi", "Wars of In-Law II", "Last One Standing", "Man In Charge", "The Art Of Cantonese Opera" and "Delicious Japan"; and acquired HD programmes such as "Pao, The Judge", "Hwangjini", "Couple or Trouble" and "Rediscovering The Yangtsz River". J2 and Interactive Information Channel will also provide promotional broadcast for early birds who have bought the higher-tier receivers to experience the various new digital services. These two channels will launch services in the first and second quarter of 2008 respectively. DTT will officially be launched on 31 December at 7:00pm. Immediately following the live broadcast of the opening ceremony, TVB will provide an array of quality HD programmes (including the infotainment programme "Scoop", an one-hour special version of the sitcom "Best Selling Secrets", a live DTT Variety Gala as well as the "Countdown to 2008 Spectacular") to set a significant milestone in free television broadcasting. Striding into the free digital era, not only has TVB invested large resources in the implementation of this new technology, TVB is also the first free television station committed to providing interactive, enhanced features & data services to viewers such as Electronic Programme Guide, programme synopsis, programme content, breaking news, financial news data, weather forecast, games, tv shopping, voting and survey etc, embracing the benefits of DTT to the fullest.